Thanks to our shape-cutting tools, everyone can create beautiful embellishments for handmade cards, scrapbook pages, invitations and other paper crafts. 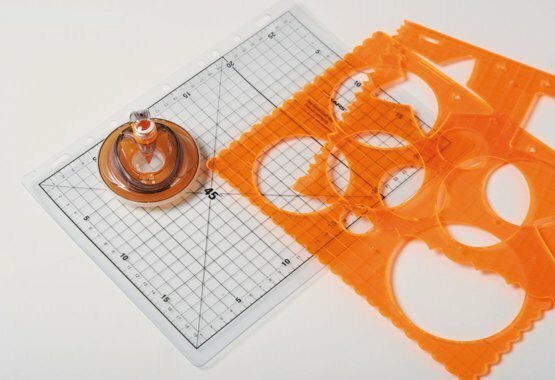 Whether you're an enthusiastic hobbyist or a crafting pro, a template-lover or a freehand master, our unique shape-cutting tools are ideal for you. What's more, you can make use of our quality cutting mats to protect your work surface.